In a small saucepan combine the watermelon, cold water, and sugar. Stir to combine, and bring to a rolling boil over high heat. Reduce the heat to medium/low and cook until the mixture is slightly syrupy and the watermelon pieces have somewhat softened, about 15 minutes. Remove from heat, strain over a small bowl, pressing on the solids to extract as much liquid as possible. Discard the solids and set the liquid aside to cool. 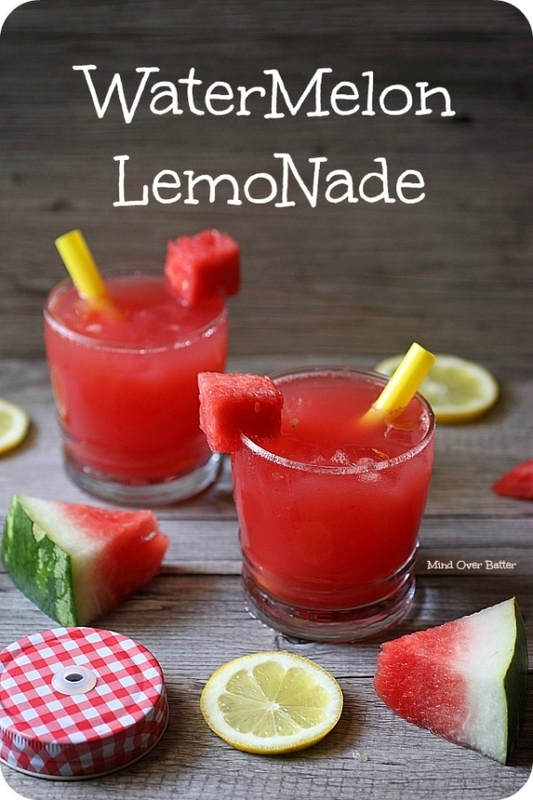 Combine the cold water and diced watermelon in a blender and puree until smooth. You can also use a hand blender, combining the watermelon and water in a large bowl, then puree until smooth. Strain the watermelon mixture into a large bowl, pressing on the solids to extract as much liquid as possible. Discard the solids. Add the freshly squeezed lemon juice, simple syrup, and additional sugar, if using. Stir to combine and adjust the flavors as needed. To and 8 oz. glass, add ice, about 6 oz of watermelon lemonade, and top with seltzer water.